Toasting to Tuesday! I’ve always struggled with the perfect ‘French Toast’ – every version I’ve had has always been, meh… from restaurants to even versions I’ve made. I’ve just never been a fan of that soggy center that seems to be a recurring theme with every version. I’ve even tried making versions previously where I only ‘dip’ one side and nothing. Enter Cinnamon Toast! Back in the day I’ve made the quick pan kind with a slather of butter and a quick sprinkle of cinnamon and sugar, I think my dad still makes it this way, lol. This recipe is a little more thought out. 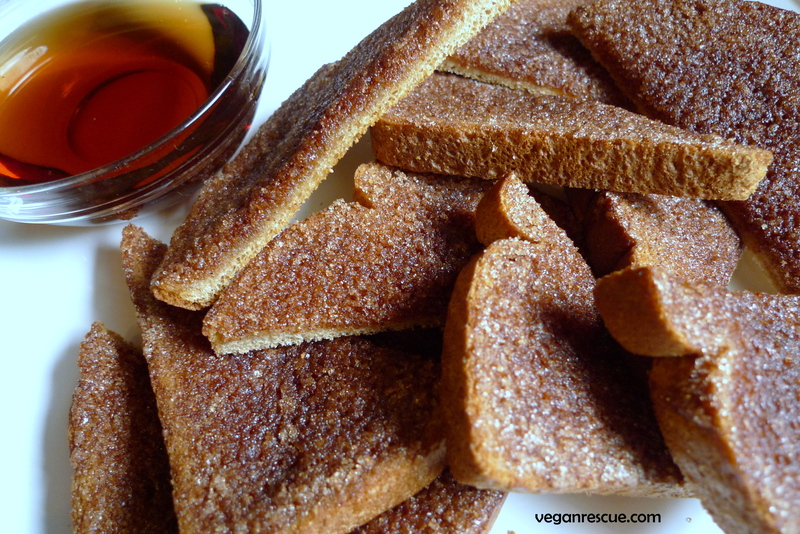 Man, I just remembered…there was this restaurant in Philly – called Vegan Commissary that had some amazing vegan breakfast options – they have since closed sadly 😦 but they had some delicious Cinnamon toast too. I’ve attempt different versions of cinnamon toast including some catastrophes of burnt bread, like the pan version previously mentioned. This recipe is one my favorite attempts. I actually leave the topping sit on top of the bread a few minutes before placing them in the oven to let the mixture seep in a bit – (see the piece above next to the syrup in the pic). I love how the bottom of the bread gets perfectly toasted while the top is crusted with cinnamony caramelized ‘buttery’ goodness. Use thicker slices or gluten-free bread for different variations. Enjoy! 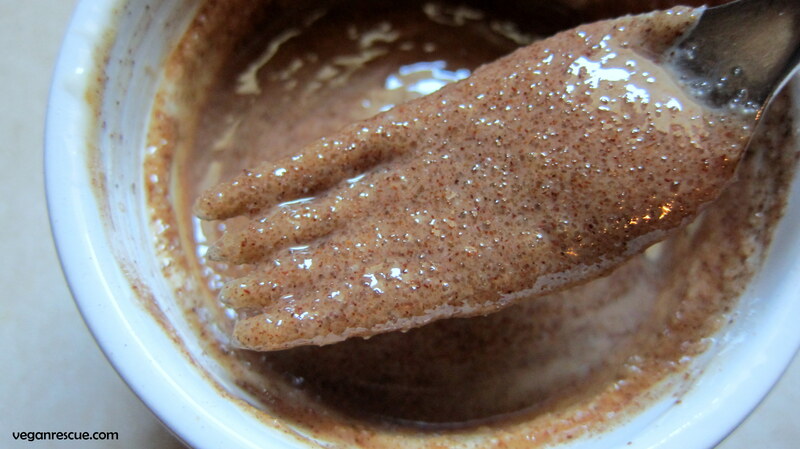 -Combine Vegan Butter, Sugar, Vanilla and Cinnamon until combined. 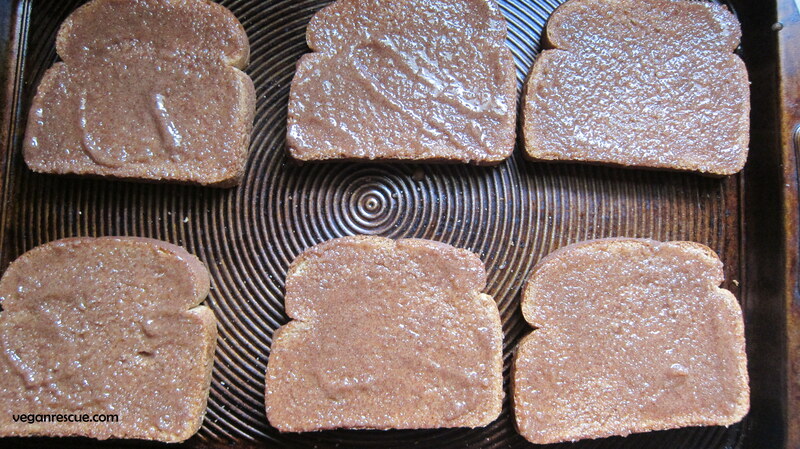 -Spread evenly on one side of bread only – edge to edge (here you can use Gluten-Free Bread for a GF version. -Place on Baking sheet, keeping spread side face up. Bake for 7 minutes. -Remove from oven quickly and let stand for a couple minutes before slicing and serving. That’s it -Enjoy! 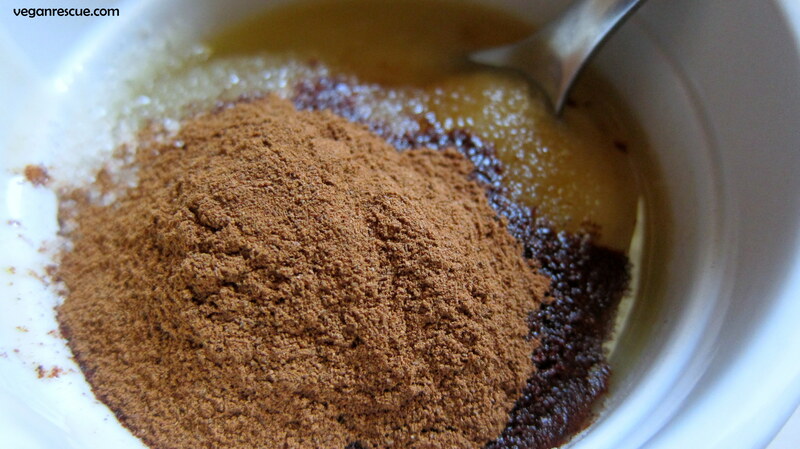 (You can add/dip in syrup for a “French Toast-like” version or eat as is). -Place on Baking sheet, keeping spread side face up. Bake for 7 minutes. Remove from oven quickly and let stand for a couple minutes before slicing and serving. That’s it -Enjoy! 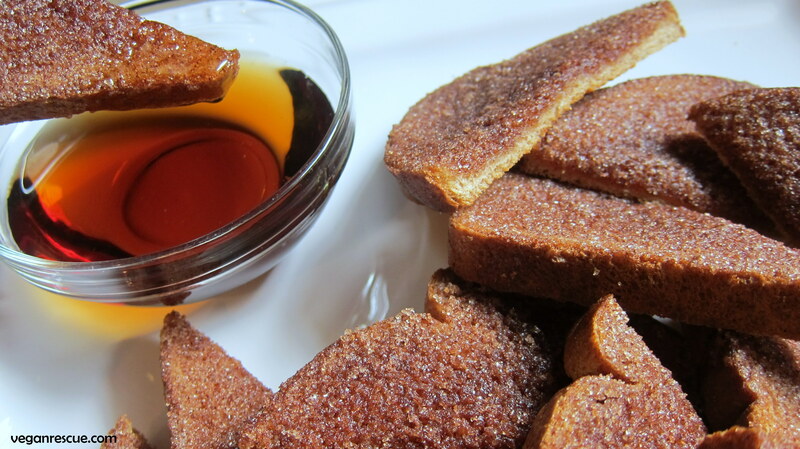 (You can add/dip in syrup for a “French Toast-like” version or eat as is). 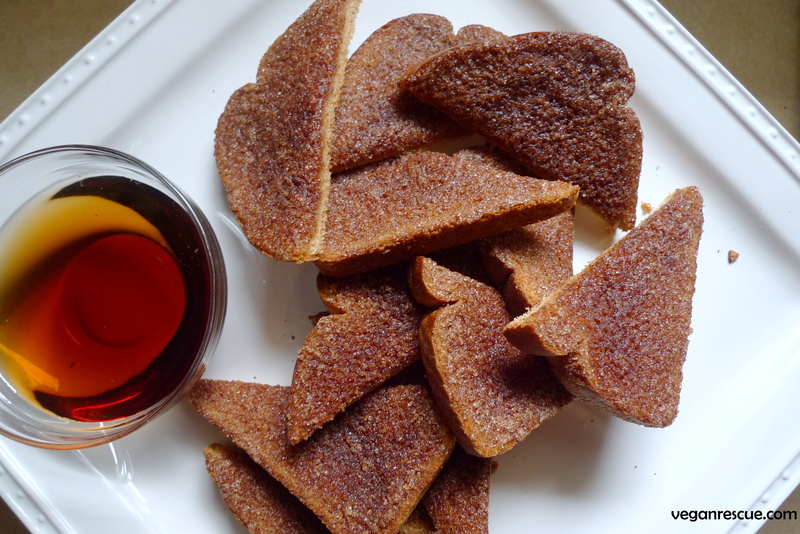 When my daughter was a teenager she mixed up some sugar and cinnamon in a little container to make cinnamon toast for afternoon snacks when she came home from school. For a prank I added a bit of cayenne pepper to the mix. 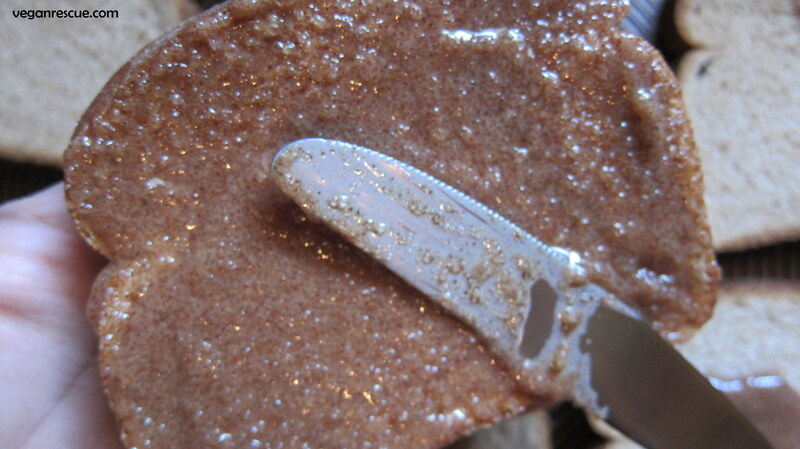 Years later I was making banana bread and saw the cinnamon and sugar mixture and added it to the batter. I was a bit puzzled when I tasted the banana bread. Then I remembered and had a good laugh. It really wasn’t bad at all. I think of that every time I think of cinnamon toast. Oh my mouth was watering just looking at your photos. One to try, thanks for sharing 😀.